A Thousand Prostrations to our Spiritual Father! On September 6th 2018 at Tashi Menri Monastery in Dolanji, India, Dawa Dargye Rinpoche will be formally enthroned as Holder of the Golden Throne, the 34th Menri Trizen, Spiritual Leader of the Yungdrung Bön religious tradition and its disciples. In a place where even the name of precious Bön could not be heard, teachings and realizations blossomed in the garden of lotuses of the spiritual leader, following the enlightened activities of the previously manifested Sun. This prayer for HH 34th Menri Trizen was requested by HE Menri Ponlop Yangton Trinley Nyima Rinpoche and written by HE Yongdzin Tenzin Namdak Rinpoche March 25, 2018. This translation of the first of two stanzas is offered by Gyalshen Institute. 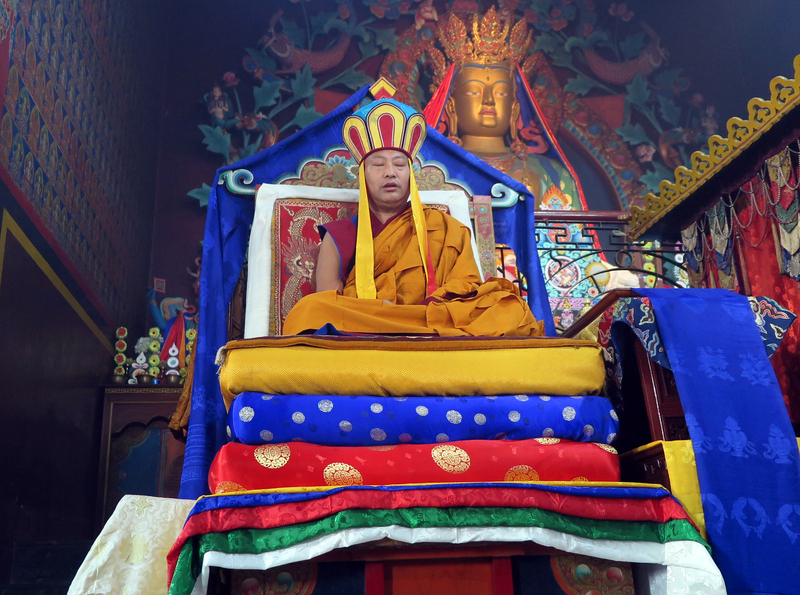 Posted on September 5, 2018, in Tibetan Lamas, Uncategorized. Bookmark the permalink. 1 Comment. Did 50 this morning- only 950 to go! Emaho! !